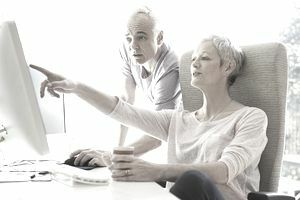 While many people look forward to the lazy days of retirement, many retirees aren’t ready to stop working or they have financial issues that require them to continue to work. Working a regular job after retirement is not only unappealing to many seniors, but it can be difficult to get. A better option is for retirees to turn all the knowledge and experience they've gained during a career, into a home based business. A home business allow for greater flexibility and freedom that retirees have earned after a long career. A business can be run from any country, for retirees interested in being expats or from an RV for those who want to travel closer to home. It can be run part-time, to allow for more fun or if there is a need to care for an ailing spouse. Just because you’re retired and have left the workforce, it doesn’t mean your knowledge and skills have left as well. Starting a home based coaching or consulting business allows you to profit from your work knowledge and experience. Coaching and consulting can be done completely from home using tools such as online conferencing and Skype. Or you can manage the business-side from home and visit your coaching/consulting clients at their location or a local java joint. Coaching can be done with private individuals, such as life coaching, or professionals, such as developing success strategies or interview skills. Consulting is usually done for businesses, such as improving sales or productivity of a team. This usually requires visiting the business location, but again, technology can allow for video conferencing to provide consulting services. If you have great information or entertaining stories, people will read what you post. Did you retire, sell your home, and buy a boat to follow the sun? People would enjoy reading about your exploits. Are you a retired accountant? People would be interested in hearing your tips on managing money and dealing with taxes. Are you foodie? You can share your enjoyment and knowledge through food blog. The number of possible blog topics is endless. Maybe you enjoy writing, but don’t want the hassle of starting and marketing a blog. Many bloggers and online media sources pay for articles. You can start a freelance writing business or find writing markets and jobs in a variety of places including freelance job sites, writing resources, and social media. Nearly any skill you have can be turned into a home business. Selling those skills through a service-based home business is one of the fastest and least expensive ways to start making money at home. Any tasks that other individuals or businesses will pay to have done can be turned into a business including virtual support, bookkeeping, writing, landscaping, handyman, pet care and more. Maybe you’re tired of the tasks you did at your job and don’t want to turn it into a business. Luckily, home businesses can be developed from hobbies, as well. Do you enjoy gardening? Start a gardening business or create how-to garden information products, such as a book or online course, and sell them. Do you enjoy baking? Start a home based cookie business. Do you like to take photographs? Start a home based photography business or sell your pictures online. Nearly any hobby can be turned into a potential business. Does your hobby create a product or service you can sell, or maybe you can teach others how to do the hobby either through live courses (online or off) or through an information product, such as a book or email course. You can blog or start a podcast, earning money through affiliate marketing and/or advertising. The trick to turning a hobby into income is to figure out what aspect of the hobby people will pay for or advertise on. After years of working and raising a family, you probably have a lot of stuff around the house you don't want or need anymore. You can profit from your used and unwanted items by selling them on eBay or Craigslist. If you find items that sell well, you can find sources of them at flea markets, garage sales, and thrift shops to start your own eBay store. Ebay, Amazon and Etsy aren't your only resources for selling items online. There are many places you can sell your electronics, clothing, art work, books, jewelry and more online. Finally, you don't have to focus on used items to sell online. While that can be a good start to learn about online selling and what sells well, you can create your own items to sell or contract with a drop shipper or wholesaler for products you can sell online through your own ecommerce store. You don’t need to be idle during retirement. You can take your life and job experiences and turn them into a source of income. And because you’re the boss, you can set the price and the rules, so that you can earn an income and enjoy retirement at the same time.